The year 8 House football competition was played on a clear and brisk Friday afternoon. 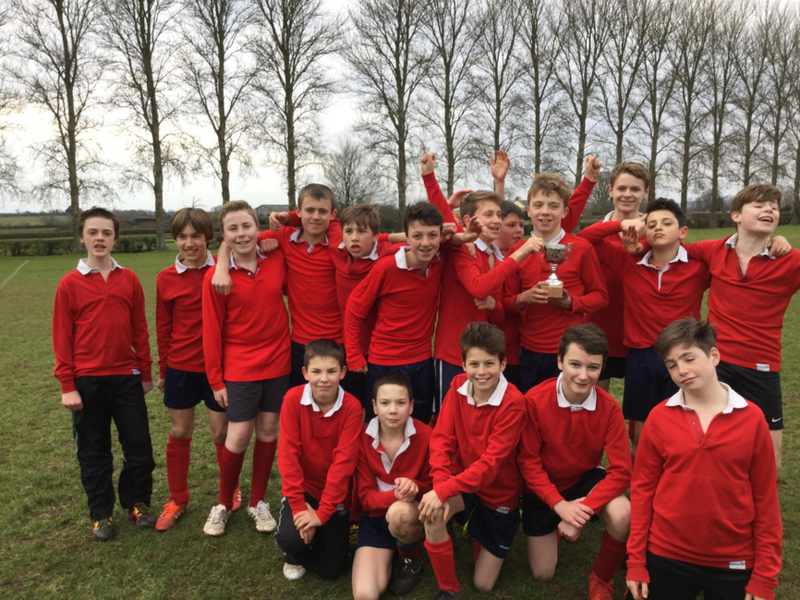 Tension and excitement levels were high, and the four houses, Viking, Celts, Saxons and Normans were all quietly optimistic of securing the converted house trophy. The Vikings got of to a flying start against the Saxons. They won the game 5 - 0 and played some blistering football in the process. On pitch 2 the Celts cruised to a 3-0 victory against a spirited Normans outfit. Alex Kimsley played well throughout the day and did a sterling job of directing play from midfield. For the Normans Brandon James and Odin Ward worked well and were a credit to their house. The Celts continued their fine form with a 6-0 victory over the Saxons. Whilst both Normans sides got victories against the Vikings. In the end the Celts just piped it with 14 points courtesy of 5 wins and 1 draw. The Normans finished in 2nd place with 13 points, with the Vikings and Saxons on 9 and 8 points respectively. It was a lovely afternoon of football and the boys should be proud of the way they played and conducted themselves. Thanks also to Mr Lamb and Mr Waterfield for their help throughout the afternoon.